We have given below a list of resources to help you understand Clojure with respect to machine learning. Infer - : Infer is a library for machine learning and statistical inference, designed to be used in real production systems. clj-bigml - BigML offers a REST-style service for building, sharing, and evaluating machine learning models. Clojure Enclog: Clojure wrapper for the encog (v3) machine-learning framework. Encog has been around for almost 5 years, and so can be considered fairly mature and optimised. With this library, which is a thin wrapper around encog, you can construct and train many types of neural nets in less than 10 lines of pure Clojure code. FungGP & Clojush: Genetic programming libraries for Clojure Genetic programming (GP) is the process of evolving computer programs using a process inspired by biological evolution. In GP, a computer program automatically writes new computer programs (in this case, by generating trees of new Clojure code), and judges them according to their ability to solve a problem or produce correct output. Synaptic is a Neural Networks library written in Clojure. Synaptic allows to create multilayer feedforward networks and train them using various algorithms. 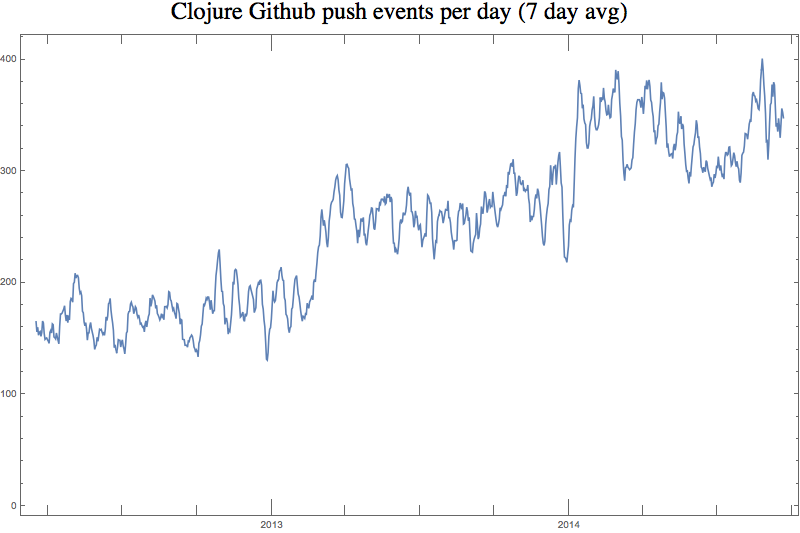 Clojure Numerics is similar to NumPy for those familiar with Python. Neanderthal Fast native-speed matrix and linear algebra in Clojure. Clatrix - Clatrix works as an implementation of core.matrix so it is fully compatible with other libraries and tools that use the core.matrix API. A complete & updated list of clojure machine learning resources is available on Gilboz.